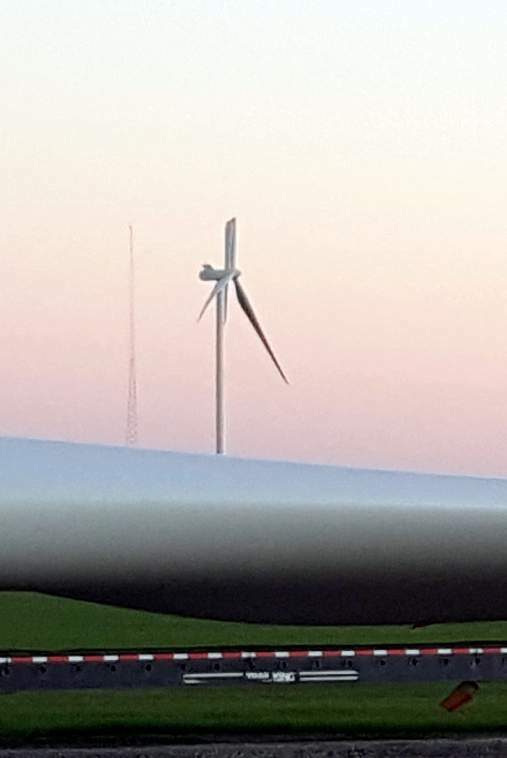 BLOOMFIELD TOWNSHIP — The two blades that broke on separate wind turbines last month were the first two to be turned on in the startup phase of the Deerfield wind project. 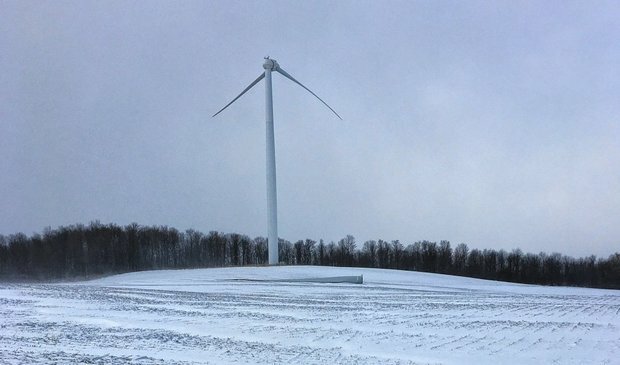 The first turbine broke and bent in half during the afternoon of Oct. 22 while “in the process of the startup procedure,” said Chris Edwards, project construction site manager for Deerfield Wind Energy, which is owned by Algonquin Power. 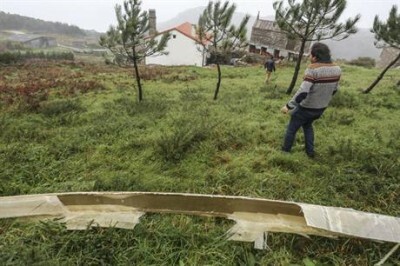 The second blade broke at its midway point, and stayed attached, just as the first one had on Oct. 22, after about 24 hours of run time, Edwards said. “This is somewhat unusual,” he told the Huron County Planning Commission on Wednesday night during an update on the malfunctions. 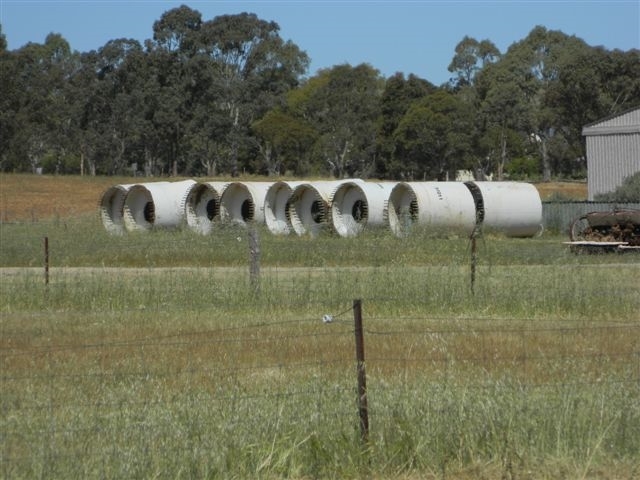 Every blade of every turbine in the park will be inspected before each turbine goes online, said Jason Sterling, site construction manager for Vestas, the turbine construction company. The blades that failed were made in the same Colorado facility, with others in the park having been constructed in Denmark, Sterling said. Design engineers were expected to investigate the blade failures once they were both taken down, which was scheduled to happen Thursday. They will “essentially dissect the blade to come up with a root cause,” he said. 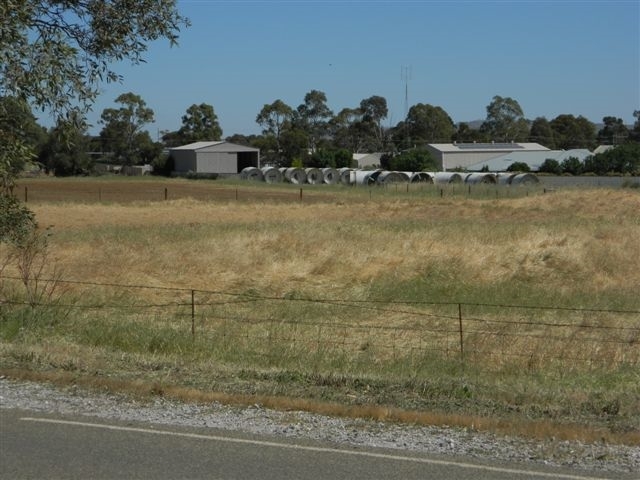 “The plan is to install a new blade and then, essentially recommission the turbine that had that failure. We will then move on to the second one and go through the process of recommissioning,” Sterling said. “In the very small time frame that the two machines were running there’s a very limited number of failure modes that occur, so we are very confident that we will find those failure modes,” Sterling added. 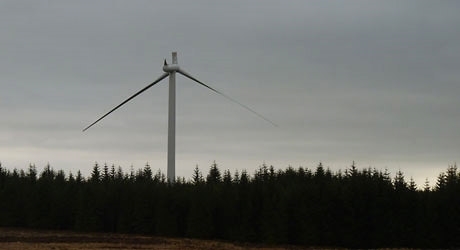 No other turbines will be commissioned until the cause is found, he said. All of the blades will go through an intensive inspection, with each crew inspecting one turbine per day. “Not an extreme wind, by any means,” he said. 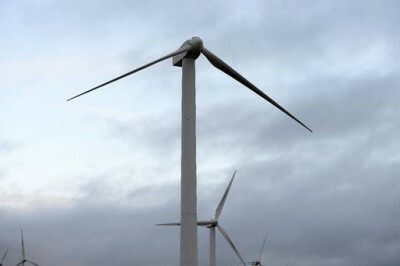 Edwards noted that turbines may be seen running this weekend as testing and recommissioning takes place. The project is expected to stay on schedule, and should be online by the end of the year, he said. 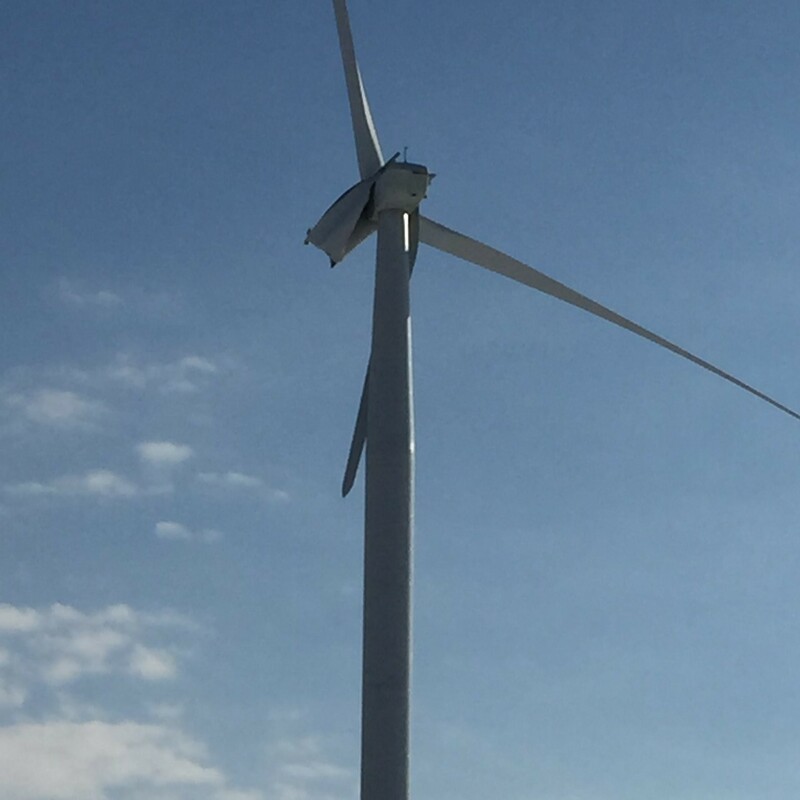 The broken blades are located near Iseler Road, east of Verona Road, north of Redman Road and south of Kinde Road. 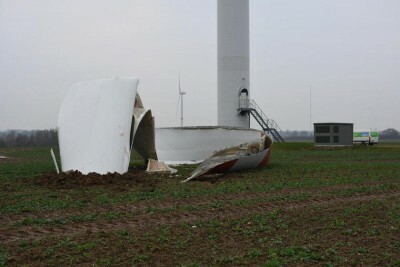 The wind power outfit’s construction manager, Chris Edwards reckons blade failure “is somewhat unusual.” Edwards really should get out more. 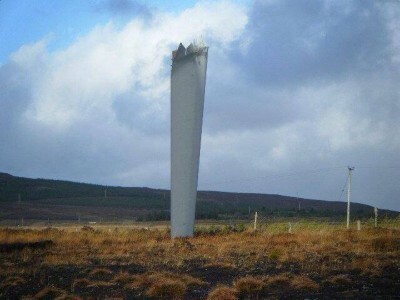 And it’s not uncommon for turbine blades to fail this soon after coming into operation. 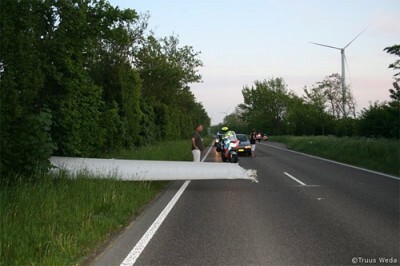 Terrifying, dangerous and pointless: welcome to your wind powered future! This is what happens when you refuse to employ engineers because they have real technical knowledge and experience, hence prefer to carry out proper research and development programs before they launch headlong into ill-conceived schemes to “Save the World™”. Astonishingly, one of the gangs of buffoons who are responsible for these atrocities actually said something to that effect. Well timed, STT, in light of the Ocotillo turbine suicide. How these developers can maintain that these are ‘isolated’ or ‘rare’ or ‘somewhat unusual’ is beyond us. 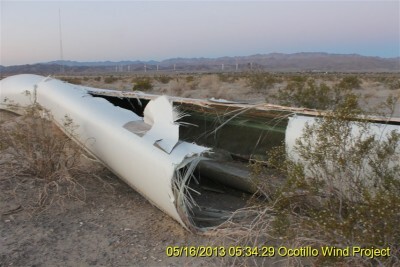 ‘Larger blades than the turbines were built to hold’ at Ocotillo? ?